The MIMO OFDM Radar-Communication System (RadCom) research is based on the patented OFDM radar processing method at IHE and is extended to a multi-antenna configuration that is able to estimate 3D+velocity (range, azimuth, elevation, velocity) of an arbitrary number of targets within one transmit cycle. It is envisioned that one MIMO RadCom node is fully autonomous but can be networked with multiple other nodes for vehicle-to-vehicle (V2V) and vehicle-to-infrastructure (V2I) radar and communication, as well as for security applications such as area surveillance. The MIMO RadCom project research is currently at an exciting phase. 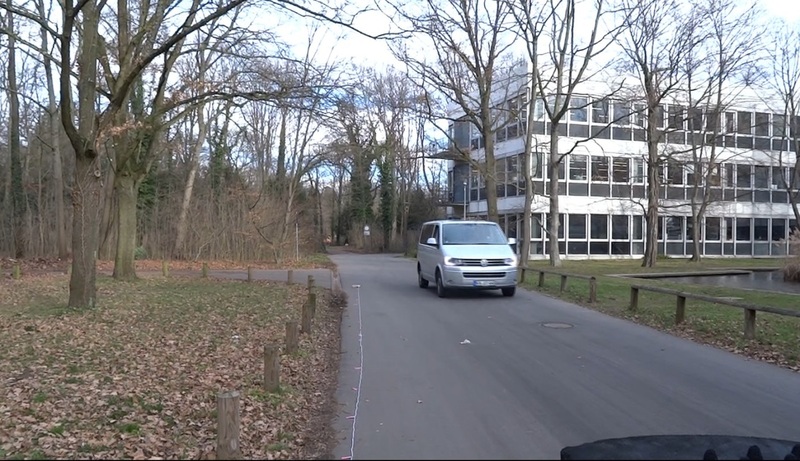 Very recently a real-time simultaneous 4x4 synchronized transmit and receive RadCom with the instantaneous bandwidth of 100 MHz have been realized using commercially available Software Defined Radios. 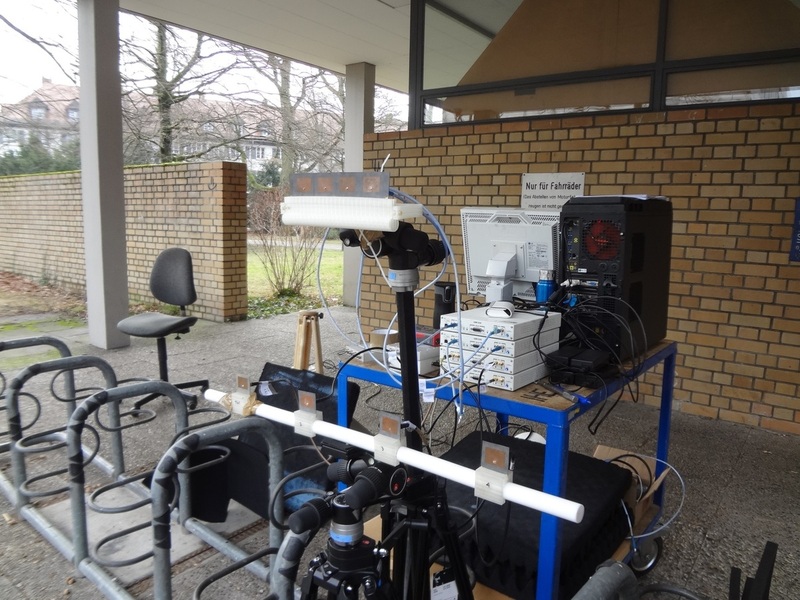 Various measurements featuring static and moving targets were performed indoors and outdoors, validating the concept of the OFDM RadCom, the first of such MIMO Radar measurement verification reported in literature with a real-time system. Following the success of setting up the hardware, we are looking forward to put to test various new post-processing methods, optimized antenna array, node positioning strategies, etc. to realize a revolutionary radar system for the abovementioned goals. C. Sturm, L. Sit, T. Zwick and M. Braun, "Spectrally interleaved multi-carrier signals for radar network applications and multi-input multi-output radar", in IET Radar, Sonar and Navigation, 2013, Vol.7(3), pp. 261-269. B. Nuss, Y. L. Sit and T. Zwick, "3D radar image fusion using OFDM-based MIMO radar," 2016 German Microwave Conference (GeMiC), Bochum, 2016, pp. 209-212.